Decorate your space with America's most iconic daredevil, Evel Knievel! 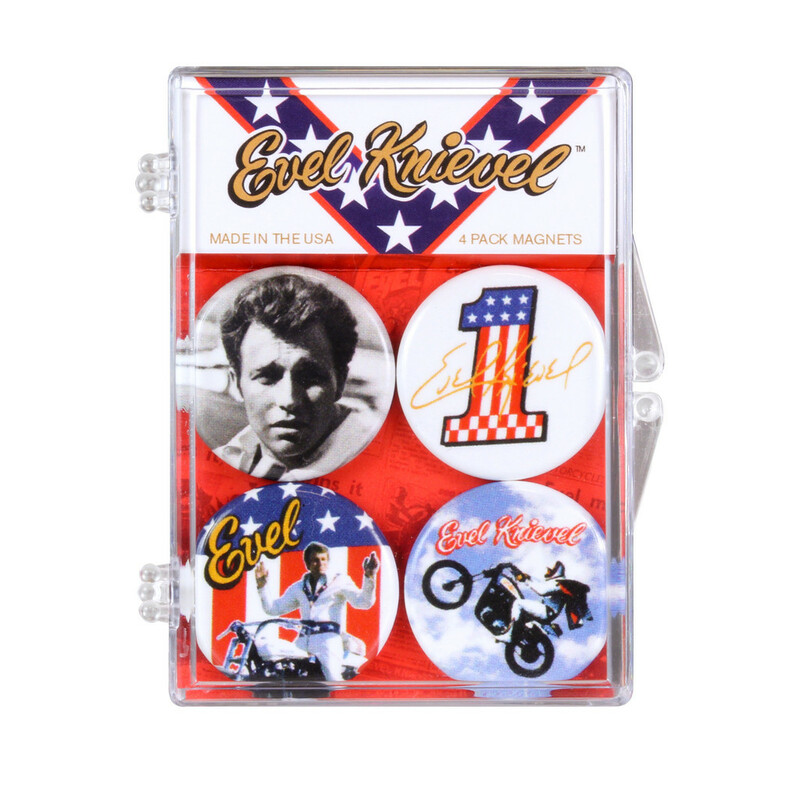 This 4-pack of Evel Knievel Badges of Pride Magnets features some of the most representative symbols of Evel. You'll get magnets that show a black and white portrait, his number one symbol and signature, an image of him on his bike in front of the American flag, and a final magnet of Evel Knievel mid-jump! Includes 4 magnets measuring approximately 1 1/4-inches in diameter. Printed on 100% recycled paper. Made in the USA.